Let’s face it, no one wants to make the decision to euthanize their pet, however, if you can make a plan for it ahead of time, the overall experience will be a more positive one for both you and your pet. As responsible pet parents we make sure our animals have all of their vaccines, receive regular exercise and even make sure that their dietary needs are cared for. We do this so they can enjoy a long and healthy life as a part of our family. Financially, this easily adds up to hundreds of dollars a year, and over time several thousands of dollars. If this is what we do to keep pets healthy, what do we do to ensure a plan is in place for when they reach the end of their life? While it may be something you may not want to think about, if you address this issue when your pet is young and healthy, you will have made your decisions with a clear mindset and not under duress. 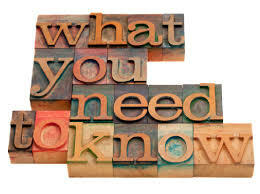 In the human world, when it comes to our end of life wishes this is done on a regular basis – in fact, legally we will select an individual to act on our behalf if we are unable to speak for yourself via a medical and financial power of attorney. Pets are considered to be property, therefore the only voice they have is their pet parent’s when it comes to their end of life care and decision making. Over the past few years, more people have reached out and asked how to develop a pet end of life care plan. Ask your veterinarian what their criteria is for euthanasia? Many vets have their own internal compass and set of standards before euthanizing. Ask your veterinarian what their process is for euthanasia? Many vets will heavily sedate your pet prior to euthanizing them, therefore ensuring the pet quietly slips away and no pain is involved. Ask your veterinarian if they will come to your home to euthanize. Many vets will not. (This may even be the first question you ask when interviewing vets for as a care provider for your pet.) When the vet comes to your home, there is less stress for the pet and everyone else involved. If you like your veterinarian and they will not come to your home, will they refer you to one that will? If so, you will want to call that vet and ask the same questions. You may want to seek out a veterinarian whose area of expertise in in home palliative care and pet hospice. This is a new and upcoming specialty. 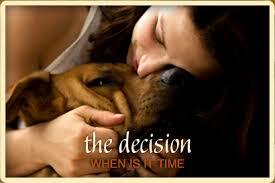 Decide who will be present during the euthanasia process. Decide what you would like to do with your pet’s remains, bury or cremate. If you elect to bury – make arrangements to purchase a pet casket or some form of a container ahead of time. Make sure it is the right size for your pet and that it is seals. You will also want to check to see if there are rules in your community about urban or rural pet burials. Note – in some communities there are pet cemeteries. If you elect to cremate your pet, arrangements will need to be made with the crematory. Please do your due diligence to ensure that the crematory fully discloses what type of a cremation your pet will receive and what will be returned to you. Example: Your pet will be privately cremated, you will receive a fur clipping and a paw print. Your pet will be returned in an urn. The day before the euthanasia, consider letting your pet do and or eat all their favorite things. Let friends and family members come say a final farewell. 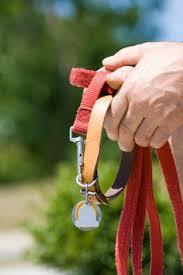 Please DO NOT take off your pet’s collar prior to euthanasia. This will only stress your pet out more. By taking their collar off, it will send a message of abandonment. Please take it off afterwards. If there are other pets in the home, if you do not want them present during the procedure, please let them smell and explore the pet after euthanasia has taken place. They need to know what has happened otherwise they will be looking for their friend. If the procedure did not take place in the home, either bring your pet home first before their final care or take a blanket and rub it all over the pet and then place it at home for the other pets to smell. They will recognize the scent and know what has taken place. In closing, you may want to consider making a memory table or area to honor your pet. It can be something as simple as placing their photo in a frame and putting their collar next to or on the corner of the frame. If you have children, you may want to ask for their involvement by having them place a favorite toy, bone or even draw a picture and set it next to the photo. Last but certainly not least, allow yourself to feel. Whatever those feelings are, they are real – let them out. It’s not about what other people think – this pet provided numerous tail wags and unconditional love. To you, it was a family member, for others it may simply be just a pet. I haven’t thought much about it but when the time comes, we’ll have one of the vets come out to our house. This is a great article. Nobody wants to think about euthanasia, but it is an important thing for pet owners to consider. You have great questions to ask the vet about the process. I had asked my vet similar questions, but when the time came, and Jewel told me it was her time to go, our vet was on vacation!! I ended up with a friend’s practice, which turned out to be a really good thing in the end. I’ll share this with my readers. Thank you for the great advice. We’ve had to put down a couple of our pets when we had other pets in the home. The procedure was done at the vets office. The idea of bringing your pet home so the others can smell it/spend time with it isn’t something I could have ever done. It was hard enough to leave him behind let alone bringing him home, only to return to the vet with his body. I’m not sure my vet would of ever agreed to this either. It’s an interesting topic for discussion. I agree this is so important. We are fortunate to have a wonderful hospice vet who will come to our house when the time comes. Saying goodbye to our pets is one of the hardest things we will ever do as human beings. It is an incredible blessing that we are able to end suffering in our pets through euthanasia but it is also a tremendously emotional and challenging decision. I appreciate you writing about this sensitive topic and I think that considering these things before the time comes is incredibly helpful. Excellent points. We had to send off our lab Cookie at age 14 as she had cancer and was in so much pain. We waited until everyone had said goodbyes and took her to her favourite spots (carried as she could not longer walk) and gave her her favourite things like bar-b-q chicken (she devoured a whole one outside the vet). Then I cuddled her in my lap on blankets on the floor as she had a drip and fell asleep- so happy and peaceful. My husband and kids could not watch, but I wanted her to feel safe and loved. Our other rescue dog Isabelle was with us and seemed to understand what happened. 3 years later, Isabelle aged almost 17 started having seizures and pain, I took her in almost in a coma. The vet was not hopeful she would wake up but then she popped her head up. She seemed to be begging me to go home to say goodbye to the kids. We all spent hours petting her then she passed in my arms at 3.00am very quickly and quietly. We had her cremated. I agree with these points but the post reminded me of my last minutes with my Golden Retriever Tucker. I had tears running down my face through most of this. I haven’t thought about what I would do with the other pet now that I have two. I had to help my previous Persian go to the bridge 5 years ago and it was very tough, but I knew I did what was best for her. I’ve just written a story on end of life care and hospice and euthanasia so this topic is close to my heart. Having a vet come out is how I would move forward – but it’s better to plan. Wow, it is so difficult to even imagine that time. These are great tips to review while emotionally intact (although the topic itself is upsetting – of course). Best to plan ahead. Great post. This is so sad to think about, but it is so much easier to make the decisions when time is on your side. I appreciate the advice about letting the other pets sniff the pet or the blanket. Great post with many thing to think of. I know from experience that this is a very tough decision. I had a cat for 16 years who had to be euthanized due to kidney failure. The vet believed that even if they were able to treat and save him, he would never be the same cat again and his quality of life would be very low. They believed he would always be in pain. It was a very very difficult decision. This is a very difficult subject to think about, but you’re right that it is a good idea to have these plans set in advance. Making decisions when you are emotional can turn out very badly. Having the finances in order to cover the final expenses can be a big burden off of your chest when those days finally come.